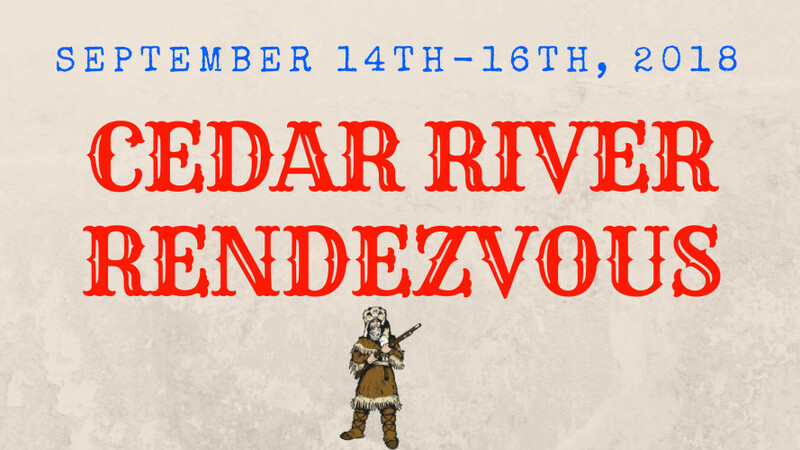 Welcome to the Cedar River Rendezvous, where the past comes alive! This event is meant to be a celebration of the history of this area. Throughout the day, you will experience that history through hands on activities and way-of-life demonstrations. The time periods represented span the whole of Iowa History, from the fur trapping era (mid 1600s-mid 1800s) to Pioneer Settlement (Mid 1800s-early 1900s) and everything in between, such as the Civil War. Although the things you see and experience today are meant to be fun, we would like you to remember that these were necessary skills and tasks needed for survival during the early days of Iowa. Life was not easy and our ancestors had to work very hard to exist on this land without the help of modern conveniences, like electricity, motors, and computers. Traditionally, a rendezvous was a large meeting held once a year at a central meeting ground. The Rendezvous provided an opportunity for trappers and traders to display, trade, and sell the furs and goods they had gathered and made throughout the year. The Rendezvous was a chance to make the money needed to buy essential goods, like blankets, knives, flour, etc., or to trade furs or products for something you needed. It was like the super shopping center of its time, providing everything from food and clothes, to jewelry and music, all in one place. Most importantly, however, the Rendezvous provided a place for people of all backgrounds and cultures to trade knowledge, skill, and ideas. This event is hosted by Mitchell County Conservation and is free and open to the public. To support the Rendezvous and other environmental education programs, we are hosting a Raffle full of great prizes. For each donation to the foundation, a raffle ticket is awarded. There are also sponsorship levels available. Prizes include a fishing trip for two, kayaks, Grizzly coolers, Traeger smoker, and a Polaris Sportsman ATV. All proceeds of the raffle will go to the Mitchell County Conservation Environmental Education foundation to fund Environmental Education programming, education materials, youth camps, and scholarships. So now, are you ready to take a walk back in time?